After the list of different VFX and compositing tutorials above, I thought I add a new motion graphics tutorial to this list! It's a free 3 part step-by-step tutorial with all assets and comp files. 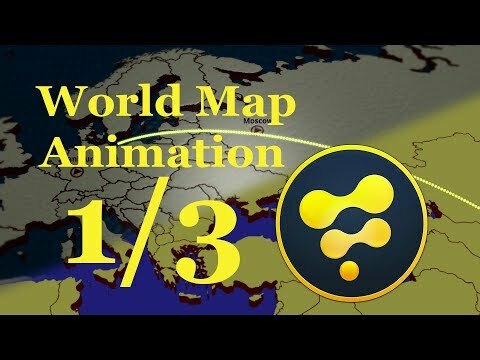 I'm creating a 3d map animation from scratch - all the way with textures, lighting and more. It's not about "how to use this or that tool" but more of a case study with different techniques along the way. Enjoy! I've just uploaded a new Fusion motion graphics tutorial, which I hope might helpful for beginners. It also includes a bonus challenge, and some downloadable content. It's my first such video tutorial, so feedback and suggestions for improvement are welcome. Thanks! 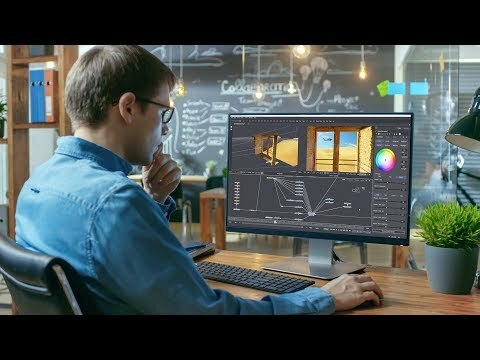 Now released, a full 8 hour training course in Fusion 9 that starts with the foundations and goes all the way to tracking, keying, 3D animations, projections and particle effects. I just went and looked at this and the price is insanely affordable. If I have the euros to dollars conversion right $22?! I’ve seen courses with a 3rd of this content that cost 6 to 8 x’s that. I’ll be checking it out when I finish the 6 hour Lynda.com course I’m nearing the end of. Bernd Klimm wrote: Now released, a full 8 hour training course in Fusion 9 that starts with the foundations and goes all the way to tracking, keying, 3D animations, projections and particle effects. Thank you for this. Very reasonably priced. Just subscribed. Do you plan on creating more tutorials -- or are you stopping here? And if so, will subscribers be notified of new course offerings? Yes, I plan to release more tutorials on the VFXstudy YouTube channel and I also plan on further long-form training courses, though that might take a while. And of course, people who purchased the course or subscribed to the vfxstudy email list will be the first to know! Blake LaFarm wrote: Do you plan on creating more tutorials -- or are you stopping here? 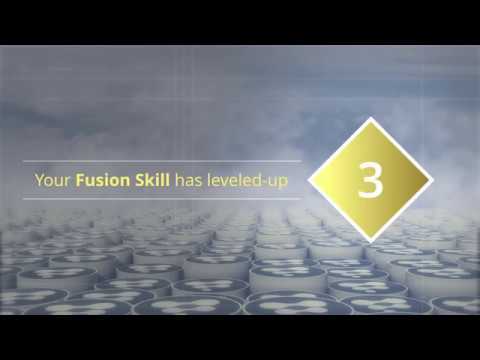 I'm proud to introduce The Fusion Essentials Training with instructor Kevin P McAuliffe at Lowepost.com. With more than 100 minutes of in-depth fundamental training, you will get up to speed with Fusion inside of DaVinci Resolve and gain the knowledge you need to start creating your own effects. I promise easy-to-follow tutorials and that this is worth your time. The first lesson is now available on the link below for free! New lessons will be posted every week starting from this week, and those will be available for premium members only. I guarantee that we will publish new video tutorials every week the rest of the year so this is a good time to join us if you haven't already. I do also guarantee a price-lock for continuous members who are registered by the end of this month. More to come, this is just the beginning. Enjoy! Thanks Stig. In Safari, the video only plays in extremely low resolution. It's fine in Chrome though. We have now added new courses about sky replacement in DaVinci Resolve Fusion and background removals in the standalone version. Learn tracking, stabilizing, roto luma keying and much more. Footage and projects files included. I have 2 Fusion 9 courses available on Udemy. The first one is targeted at beginners, the second one more for intermediate skills. I will post links to the course here with coupon codes. I've just uploaded a Fusion-based project/tutorial to YouTube, which will hopefully be helpful to a few beginners (and maybe intermediate users) out there. 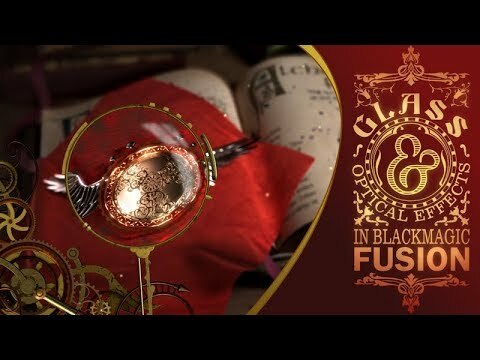 The focus is on glass and optical effects. And not - thankfully - bad puns.